Background: Diabetes is associated with oxidative stress and considered as a major risk factor for cardiac disease. We attempted to investigate the role of oral antidiabetic (OAD) agents gliclazide and metformin in lowering the lipid peroxidation and managing the risk for cardiovascular (CV) complications in diabetic patients in comparison with nondiabetic healthy individuals. 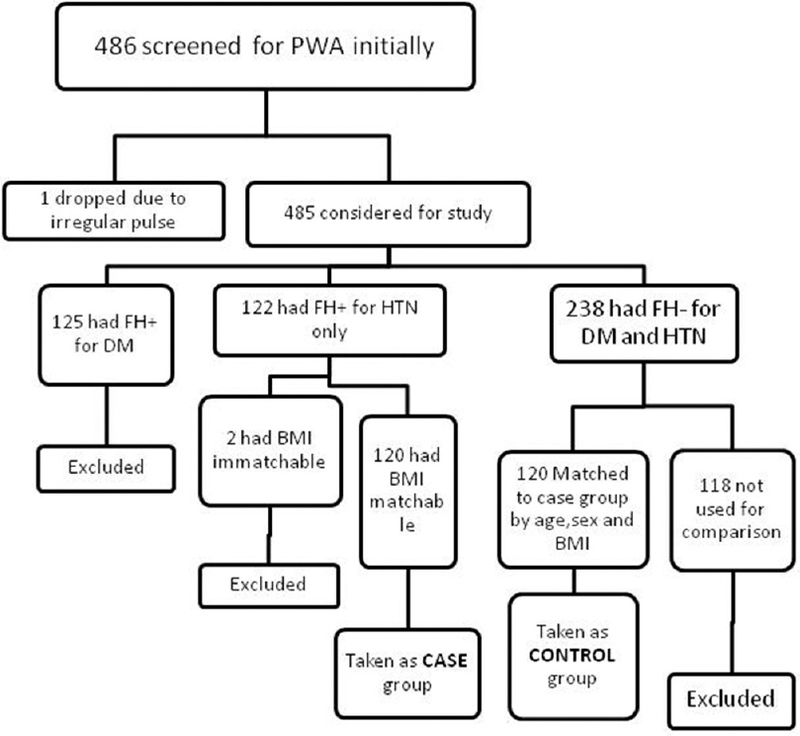 Materials and Methods: This cross-sectional study was comprised of 150 individuals grouped in three, namely, Group A (n = 60) healthy volunteers, Group B (n = 30) newly diagnosed diabetes, and Group C (n = 60) diabetes treated with OAD. Serum malondialdehyde (MDA), nitric oxide (NO), and Vitamin C were assessed for studying lipid peroxidation status, whereas serum triglyceride (TG) and total cholesterol were monitored as predictors for CV risk. 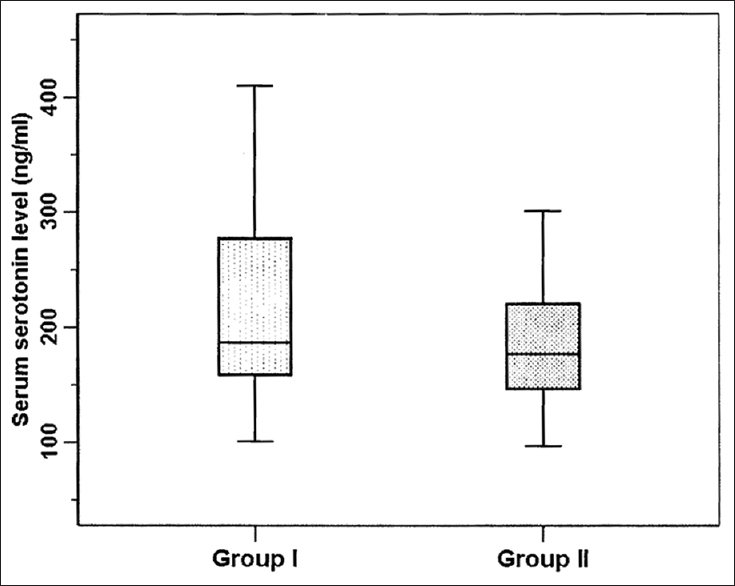 Results: We found significantly higher concentrations of MDA and NO levels (P < 0.001) in both groups of patients (Group B and C) in comparison to control group (Group A). Regarding antioxidants, significantly lower concentrations of Vitamin C (P = 0.046) were found in Group B and C compared to Group A. 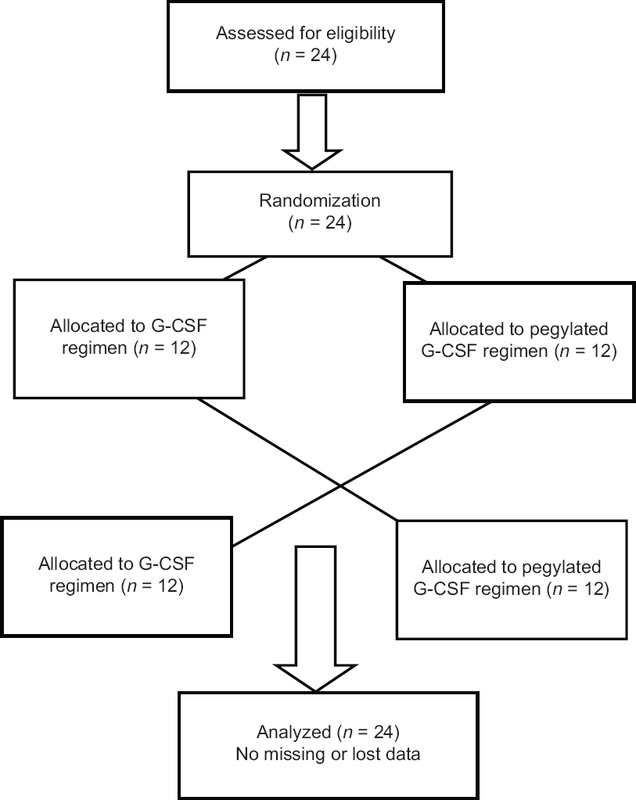 Moreover, there was significant difference exhibited in concentration level of MDA (P = 0.001) and NO (P = 0.015) between Group B and C, whereas difference of Vitamin C (P = 0.147) was not statistically significant. 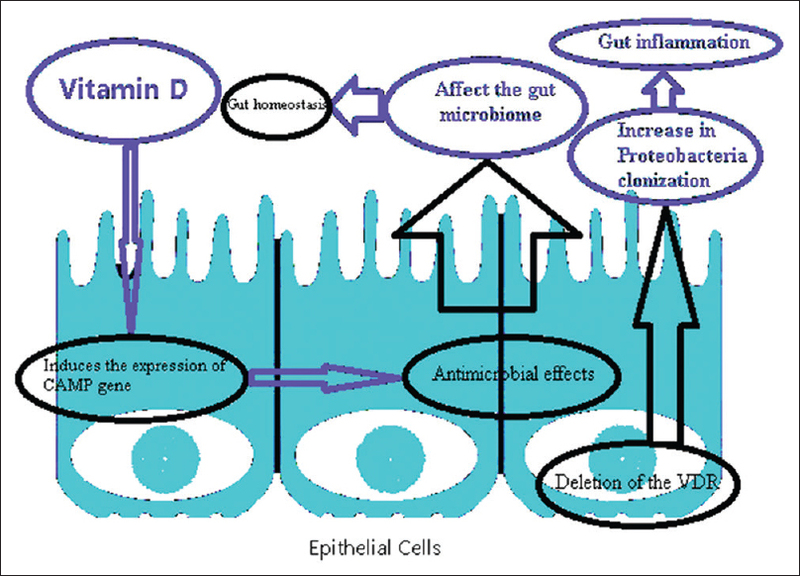 Conclusion: Our data confirmed that treatment with gliclazide and metformin significantly reduced the lipid peroxidation accompanied with attenuated levels of serum TGs and cholesterol and suggested that oral hypoglycemic agents have great impact to reduce the oxidative stress and increase the antioxidant status in diabetes. Original Article: How may Doppler indices help in the differentiation of obstructive from nonobstructive hydronephrosis? Background: We assess the potency of different Doppler indices in the differentiation of obstructive and nonobstructive hydronephrosis. Materials and Methods: In this study, infants and children who were referred for the evaluation of unilateral hydronephrosis were enrolled. Ultrasonography for the assessment of the degree of hydronephrosis and a voiding cystourethrogram for the exclusion of vesicoureteral reflux was performed. Then, Doppler ultrasonography was done for both kidneys of each patient using four classic Doppler indices as well as the difference (delta) of each index between to kidneys. Diuretic renography with 99 mTc-ethylene dicysteine (99 mTc-EC) was performed for each patient. Results: Thirty-nine patients met the inclusion criteria. After diuretic renography, 29 (74.35%) patients had shown a nonobstructive pattern, and ten (25.65%) patients had a partial (intermediate) or complete obstruction. Using receiver operating characteristic (ROC) curve, none of the classic indices of Doppler duplex (i.e., resistive index [RI], resistance index, end diastolic velocity, and peak systolic velocity) had the ability to make a difference between obstructive and nonobstructive hydronephrosis. However, by calculating the difference (delta) of these indices between two kidneys of each patient, delta RI could differentiate the nonobstructive condition, significantly (P = 0.006). 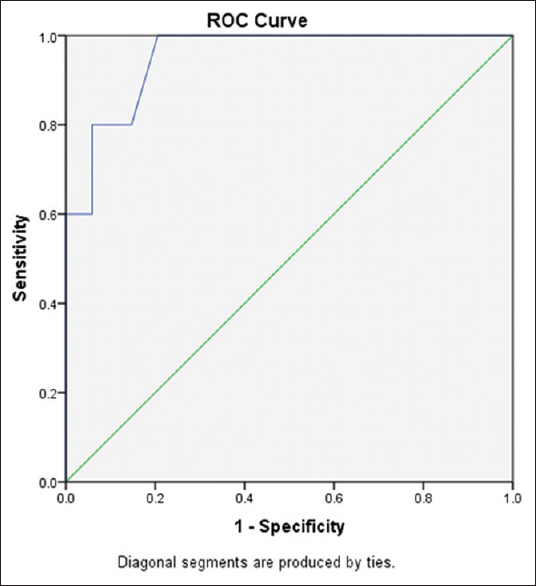 A cutoff value of 0.055 has 60% sensitivity and 82.8% specificity. The area under the ROC curve for delta RI is 0.795 (standard error: 0.086, 95% confidence interval [CI]: 0.626, 0.964). Furthermore, RI ratio between two kidneys of each patient could differentiate the nonobstructive condition, significantly (P = 0.012). A cutoff point of 1.075 has 70% sensitivity and 82.8% specificity. The area under the ROC curve for RI ratio was 0.769 (standard error: 0.104, 95% CI: 0.565, 0.973). Conclusion: This study shows that RI ratio and delta RI with a high specificity could differentiate nonobstructive hydronephrosis and therefore it is a promising way to use especially in the follow-up of children with hydronephrosis. Pulmonary artery intimal sarcoma (PAS) is a rare mesenchymal tumor mostly diagnosed in middle-aged women. 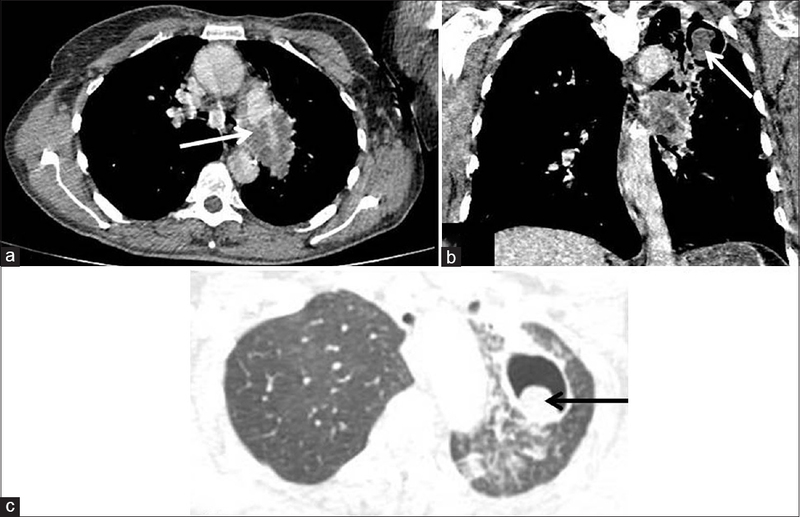 In a 63-year-old female, the radiological findings showed cavitation in the left upper lobe of the lung and infiltrative tumor mass around the left pulmonary artery. 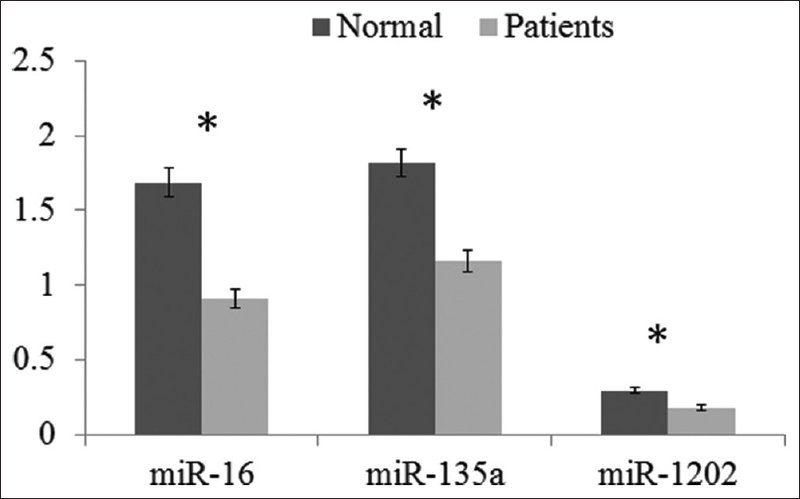 PAS consisted of small, round tumor cells with about 80% of mitotic activity and with myxoid background and specific immunoprofile and diagnosed as undifferentiated sarcoma with round cell features type. The final diagnosis of PAS was established according to the pathohistological, chest computed tomography scan, and surgery finding.